Port Washington, New York is located on the north shore of Long Island. It is the last stop on the Long Island Rail Road (LIRR) Port Washington line. Travel times from Manhattan, NYC Penn Station (20 miles) range from 26 to 47 minutes (based on whether an express train is available). Click here for Port Washington station information and schedules. Port Washington has countless great drinking and dining opportunities. 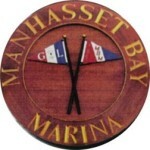 Manhasset Bay Marina is the gem of all the North Shore marinas. On site, overlooking the marina, is LaMotta’s Waterside Restaurant serving the best in globally influenced continental cuisine. Open for lunch, dinner, the restaurant offers both indoor and outdoor dining. For day trips, we recommend lunch at the restuarant after the trip. For evening trips, the restuarant and bar will still be open when you return. Locating the boat when you arrive is easy. Park anywhere in the lot and walk past the restaurant entrance and down to the docks. At the bottom of the ramp, go left. The first boat you come to is ours! It is now black and has twin 300 Mercury Verados. Port Washington Fishing Charters for all ages and all levels of experience!